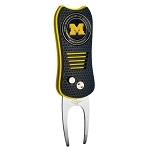 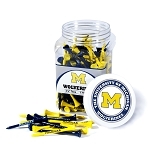 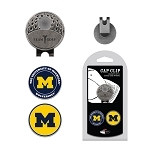 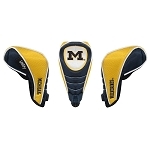 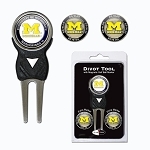 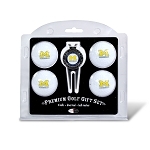 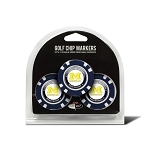 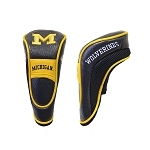 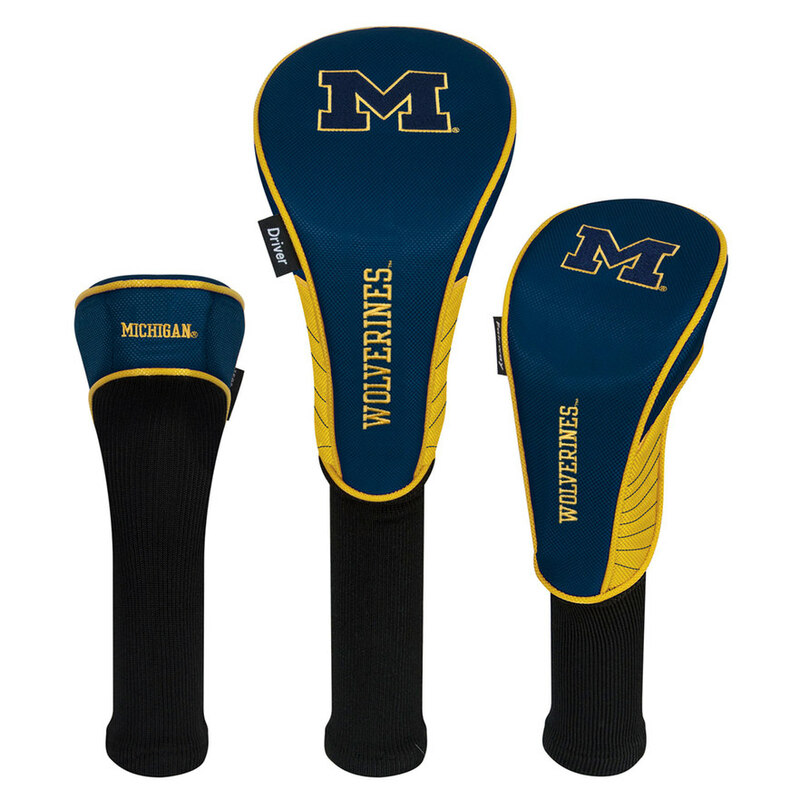 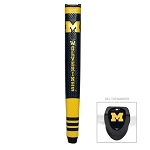 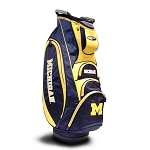 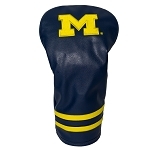 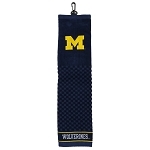 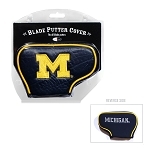 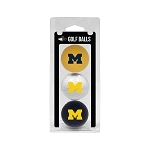 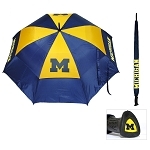 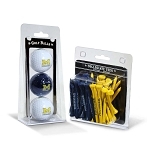 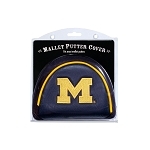 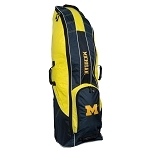 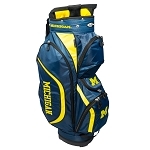 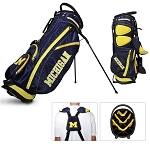 Michigan Wolverines logo set of 3 graphite headcovers is constructed of durable nylon and contains different sizes to ensure a proper fit on your clubs. 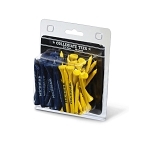 The #1 is designed to fit up to a 460cc driver. 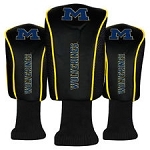 The new expandable two-color full-length sock provides maximum protection. 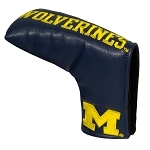 The three embroidered Washington State Cougars trademark logos add a unique style to the headcover. 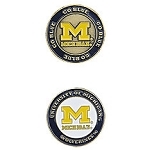 Embroidered numbering system 1, 3, X.